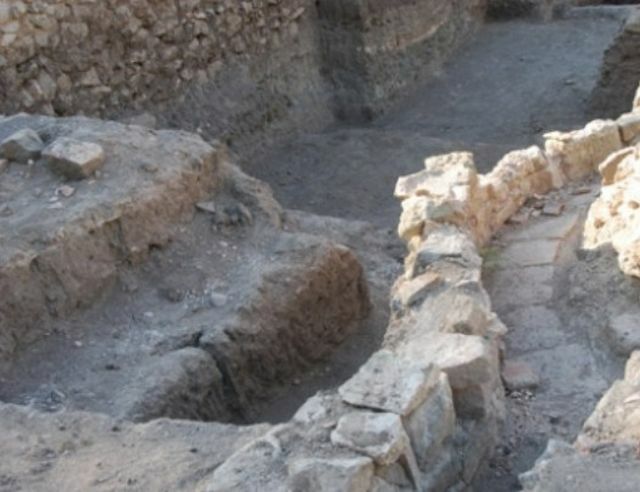 The first section of the archaeological preserve of the ancient and medieval city Aquae Calidae – Thermopolis in the Bulgarian Black Sea city of Burgas is to be opened for visitors by the end of July 2015, Burgas Mayor Dimitar Nikolov has announced. Burgas Municipality has recently made it clear that it will target local and foreign tourists with three major archaeological attractions in summer 2015: the newly found lead reliquary with ashes from the grave of John the Apostle in Ephesus; the ancient and medieval port and fortress of Burgos (Poros) on Cape Foros where the reliquary was found; and the ancient and medieval Aquae Calidae – Thermpolis Archaeological Preserve. While the excavation and rehabilitation of the Aquae Calidae – Thermopolis Archaeological Preserve is said to be going as planned, there had been expectations that it might be opened for visitors as early as June 2015. “We are only being slowed down by the complex archaeology [of the preserve] but it is precisely because of it that we are setting up it," Burgas Mayor Dimitar Nikolov has told Radio Focus Burgas, as cited by the Focus information agency. He adds that the weather is a major factor for the work of the archaeologists excavating Aquae Calidae – Thermopolis on the ground. “We got delayed by several months because the at the junction of the waste water collector in front of Aquae Calidae we discovered a new section of the city’s fortress wall as well as pottery, and the completion of the work requires a lot of manual labor and nice weather," Nikolov explains. In his words, if all goes well, the first section of the Aquae Calidae – Thermopolis Archaeological Preserve, which features remains from Ancient Thrace, Greece, and Rome in the Antiquity, and the Byzantine Empire, the Bulgarian Empire, and the Ottoman Empire in the Middle Ages – should be opened in mid or end July; after that, Burgas Municipality will go ahead with the second and third sections of the project – including the setting up of a museum, and the expansion of the archaeological excavations. Nikolov adds his Municipality expects more cooperation on part of Bulgaria’s Ministry of Culture in order to speed up the approval of the management plan for the entire archaeological preserve. The Burgas Mayor also reminds that his administration is working on two more public projects – the construction of an oceanarium (a marine park), and a new sports arena. The name “Aquae Calidae” comes from the name of a Roman road station near the mineral springs which was erected along the major Roman road Via Pontica running along the Western coast of the Black Sea. The Sanctuary of the Three Nymphs was revered in Roman times.